These groups have worked hard thorough out the year both fundraising, raising awareness and supporting Candlelighters. Here is some more information about each of the nominees! Introducing the next award category nominees: Team Effort of the Year! 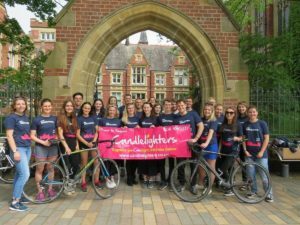 The Leeds RAG undertook their Pedal to Prague challenge, cycling from Leeds to Prague in June as one huge team that included 5 leaders and 42 students from the University of Leeds. 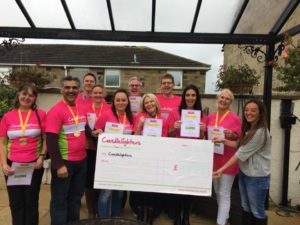 They have shown dedication and commitment, working together to plan and organise the challenge with enthusiasm, smashing their original fundraising target and raising over £25,000. Their passion to achieve together has been humbling to see and they have also actively raised awareness of Candlelighters across the entire university campus. Each child on treatment for cancer is given a chemoduck which has a chemo line and are used to explain procedures to children. To make the duck even more of an experience, outfits and accessories are given to the children following treatments and procedures and are something they look forward to on visiting the hospital. 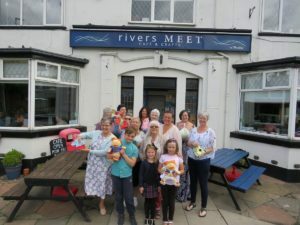 Café owner Joanne Plenderleith brings together a group of dedicated volunteers every week at Rivers Meet Craft Café in Methley to help design and make these unique items. She provides her room and resources, supporting volunteers to get involved in whatever way they can. From cutting out to ironing, sewing to embroidering, there is something for everyone to assist with and get involved, no matter their ability. This sharing of skills and support of each other truly shows the spirit of team working, they dedicate hundreds of hours every month and have been doing so for over two years, bringing smiles to children’s faces every day. 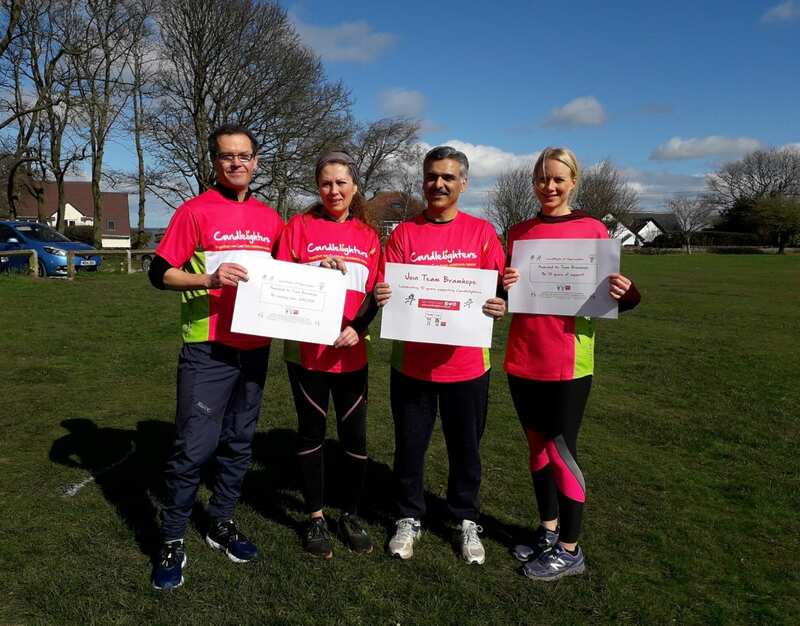 Team Bramhope was formed by Tariq Qadeer, the owner of the Village Newsagents in Bramhope, by encouraging his customers and friends in the village to come together for charity. As their enthusiasm and passion grew, the word spread and so did the team. This year one of their members Andy Taylor decided to add a ‘White Rose Way Wander’ to their achievements too, taking part in the 104 mile walk over 4 days with friends and colleagues. 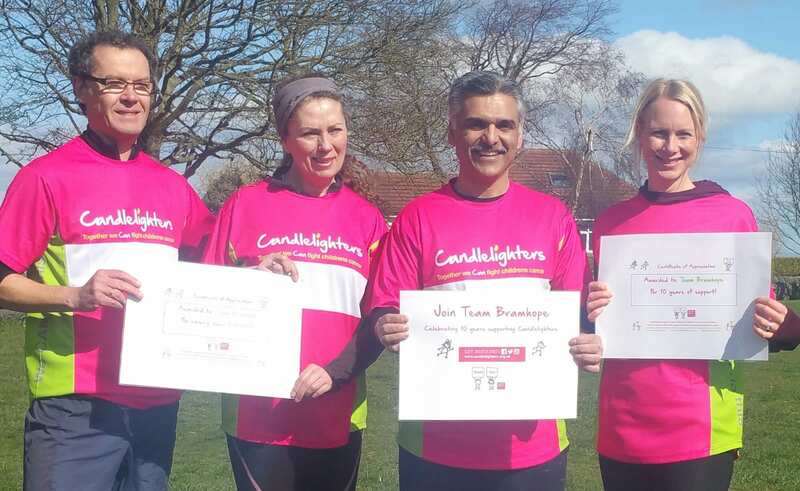 Team Bramhope have raised an astonishing amount totalling over £40,000, as well as huge awareness for Candlelighters in North Leeds but more than this, they have brought members of the community together in a positive way.